With Glittering Eyes: I love these three! 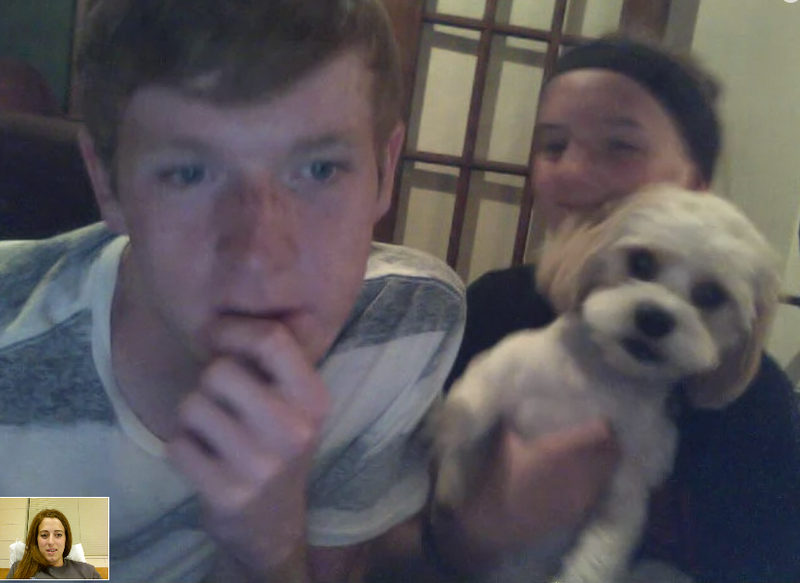 Last week I skyped with Brad, Katie, and Falkor (aka Buddy). It was a lovely time! They were sneaky and got some silly pictures of me yawning and such. I, on the other hand, only got cute pictures like this one of them.